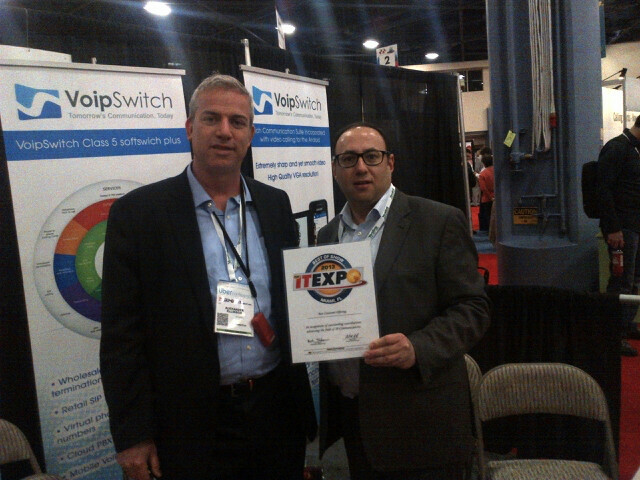 VoipSwitch returns from IT Expo 2013 with the Best Company Offering award. This title is given annually at the Best of Show Awards at the Miami exhibition for the most promising products in the IT/telecommunication market “in recognition of outstanding contributions advancing the field of IP Communications”. During the show our company presented its leading products: Class 5 Softswitch, enabling VoIP calls and messaging, as well as the newest RCS solution – a complete softphone package with enhanced features, such as HD video call, SMS, file exchange, active phone book, PUSH notifications and social media hub. Interested in introducing award-winning solutions in your company? Contact us now.